I am being pummelled so heavily by the unrelenting wind that I fear I may not remain upright for long – and I love it. The sheer exhilaration of being in this vast open field – trees shaking in a frenzied dance to my left and a foggy vista of villages and countryside falling away to my right – as the elements swirl around me, leaves me inexplicably grinning from ear to ear. I am far away from my urban London life; I wanted a walking holiday in rural England and by Jove have I got it. My septuagenarian mother at my side doesn’t seem to quite share my glee. At several inches shorter and a couple of stone lighter, the likelihood of her bird-like frame being lifted right off the ground is all the more probable; and so we press on. I’m clutching a fragile piece of A4 bearing a map (which threatens to whip out of my grasp at any moment) that tells me a footpath change is approaching, and the idea of missing the turn and delaying this six-mile walk is visibly unappealing to my mother. We have found ourselves on the Isle of Wight ahead of the island’s May walking festival. Set to run from 4-9 May, the Festival – sponsored by Warner Leisure Hotels – gives walkers the chance to get up-close-and-personal with the best of the Island’s stunning scenery. Most of the walks are free, although some walk leaders request a donation for their chosen charity. The particular walk we’re following is a circular one, beginning at Godshill in the southeast, and is scheduled for 6 May in this year’s festival. The route promises “varying landscape with some more challenging slopes” which is certainly what it delivers (it makes no commitments regarding the wind) and is definitely one to check out if you’re visiting. We spy woodland as well as coastal scenery during the adventure, but of particular interest to me is the path past Appuldurcombe House. While my mother ponders the etymology of the name, I am more thrilled by the place’s scandalous past – one of the owner’s wives in the 1780s had a whopping 27 lovers. It is now owned by English Heritage and can be visited between April and October. Ruddy-cheeked from the four-hour walk and bracing winds we head for lunch at The Taverner’s Pub in Godshill. The quaint establishment is welcoming from the off with its huge open fireplace, an assortment of traditional kitchen items from old weighing scales to copper jugs, and rustic wooden beams. The cosy pub offers local fresh produce, with its menu dependent on what has been caught, foraged or hunted. I tuck into a starter of tasty ham hock with sourdough toast and piccalilli followed by a succulent and tender lamb shoulder teamed with garlic mash and roasted vegetables – the ideal delicious country fare for after a walk. The atmosphere in The Taverner’s is convivial and clearly popular with locals as a birthday trio are celebrating behind us and know all the staffs’ names by heart. Not content with one old English house for the day, my old English mother and I set off for Osbourne House on an estate bought by Queen Victoria and Prince Albert in 1845. A visit of the Italianate building – described as a “little Paradise” by Victoria – takes in the royal couple’s children’s nursery, Queen Victoria’s bedroom where she died, an 1893 lift installed for the increasingly infirm monarch, the hugely impressive India-inspired state reception room and much much more. The woods of Osbourne are also well-worth exploring, and the 2.5 mile circular Osborne Beach and Woodland Walk features in the walking festival on 16 May. They’re now a backdrop to the pleasure grounds and gardens of the house, but the woods were planned as an essential part of Queen Victoria’s working estate and planted under Albert’s direction, Bob Hurst, an Osbourne volunteer tells me. He advises walkers to look out for a whole host of woodlands critters, from red squirrels, foxes and badgers to dormice, woodpeckers and bats, as well as plenty of flora including wild garlic, bluebells, primroses and fungi. Our quota of fresh air and culture complete, we return to our hotel ahead of dinner. We’re staying at Warner Leisure Hotels’ Bembridge Coast Hotel. The rooms are pleasant and comfortable, but the sight of a row of mobility scooters on our arrival rather dampens any illusions of glamour. If you’re over 70 and looking for cheap and cheerful then this is the place for you. If you’re not, it probably isn’t. The food is fairly unremarkable, one is forced to sit at the same table for every meal and on our second breakfast the waiter simply forgets we are still in residence. Fortunately, we have a booking at The Little Gloster restaurant in Gunard, just five minutes west of Cowes, which offers panoramic sea views of the Solent. The Scandinavian-influenced eatery is delightful and the owners Ben (a whizz of a chef) and Holly (the so-very-glamorous manager) are very friendly indeed. There’s a modern, elegant yet homely vibe to the place thanks to the wooden tables and chairs, fresh tulips and cow skin rugs; spot-on mood lighting and low music help, too. It’s lucky we’ve benefited from so much exercise during the day as we are presented with a feast. We start with oysters before moving onto tasters of juicy, melt-in-the-mouth smoked confit pork belly with a gochujang (Korean red chilli paste for the uninitiated) and apple glaze; rabbit agnolotti (nope, me neither – they’re packets of pasta similar to ravioli, and, at this place, sublime) and “gravadlax” (a Nordic dish of raw fish cured in salt, sugar and dill – keep up) house-cured Hampshire trout on sprouted spelt croutons. My stomach straining slightly, I tuck in next to the day’s special, a delicious pasta dish of crab pappardelle while my mother opts for the crab salad, once again proving how she manages to be several stones lighter. As my insides beg me to stop overindulging I turn a deaf ear and eagerly peruse the dessert menu. My mother does not. I plump for the rhubarb and mascarpone mousse – a delectable and fancy concoction which at first glance looks rather like a pink shiny macaroon preening itself atop a ginger nut biscuit. I crack my spoon through the glaze and reveal the refreshingly tangy mousse inside. The exquisite creation appears to sum up The Little Gloster’s attention to detail and both imagination and pride in their presentation. In short – go here, wear stretchy clothes, and take someone who won’t judge your three-course gobbling. The next day we meet Isle of Wight rambler David Howarth and head off on a challenging circular eight-mile walk around the western tip of the island. This walk – entitled Best of the West with the Travel Ambassadors – will take place on 18 May during the Walking Festival. The weather Gods are smiling down upon us and the sun shines for most of the day as we march off along the coastline. The route along High Down affords excellent views of the sea and striking white cliffs. We pass the Tennyson Monument, an 1897 memorial to Alfred, Lord Tennyson, the Victorian Poet Laureate. He lived on the island with his wife for 39 years and greatly loved walking on the down; he famously said: “The air is worth ‘sixpence a pint,’” – and I can easily believe it as I inhale the fresh sea air. The hugely chatty and amicable David is a veritable mine of information and we learn a lot as we walk. We stop to look out at The Needles Rocks – a row of three distinct chalk stacks which rise out of the sea off the western extremity of the island. The name Needles comes from a former fourth rock which was needle-shaped and known as Lot’s wife after the Biblical figure. For those more interested in human history, West Wight boasts a number of defences designed to protect against invasion. Now under the care of the National Trust, the Needles Old Battery is a Victorian fort built in 1862 and used throughout both World Wars. Further up the headland is The New Battery where British-made rockets were tested under conditions of great secrecy during Britain’s Cold War ‘race for space.’ There’s a very interesting exhibition which tells the incredible and little-known story of those who worked here and what was achieved. Visit Isle of Wight is a useful wealth of information for those looking for more history and facts about the island. We lunch at The Piano Cafe in Freshwater Bay. It’s a lovely spot in a large well-lit room looking out at a delightful view of green fields. It boasts a buzzy atmosphere as customers pour over newspapers with their coffee or enjoy a glass of wine with friends, a dog dozing at their feet. It offers an abundance of baked goods such as carrot cake, brownies and flapjacks as well as marvellous toasties which are absolutely worth trying. I overhear one elderly gentleman telling the waitress it’s the best brie toastie he has ever had. And, having scarfed my own down, juicy with cranberry sauce and the salty tang of bacon, I heartily concur. It’s then off to the nearby Dimbola Museum and Galleries – an art and photography gallery in the former home of Victorian photographer Julia Margaret Cameron which is worth a nosy round if you’re in the area. Cameron, who lived from 1815 to 1879 was one of the most important early photographers and a woman ahead of her time. Today she is credited with creating the first photographic close-up portraits. She snapped the great figures of Victorian art, literature, and science, from Sir John Herschel (the scientist who coined the very word ‘photography’) to Pre-Raphaelite artist William Holman Hunt. And so our weekend comes to a close. We are ferried back to our hotel by our very friendly and knowledgeable taxi driver, E-taxi owner Matt Malkin, who has the Isle of Wight’s first 100 per cent electric taxi service and then on to the Wightlink ferry back home, which provides a very quick journey back indeed and is super easy to manage. The trip has provided just the refreshing break I needed from the chaos of city life on the mainland. Fingers crossed all the walking has balanced out the indulgent eating during the stay – is what I think. My mother is off nibbling on celery, googling the origins of Appuldurcombe and wondering if David is single. 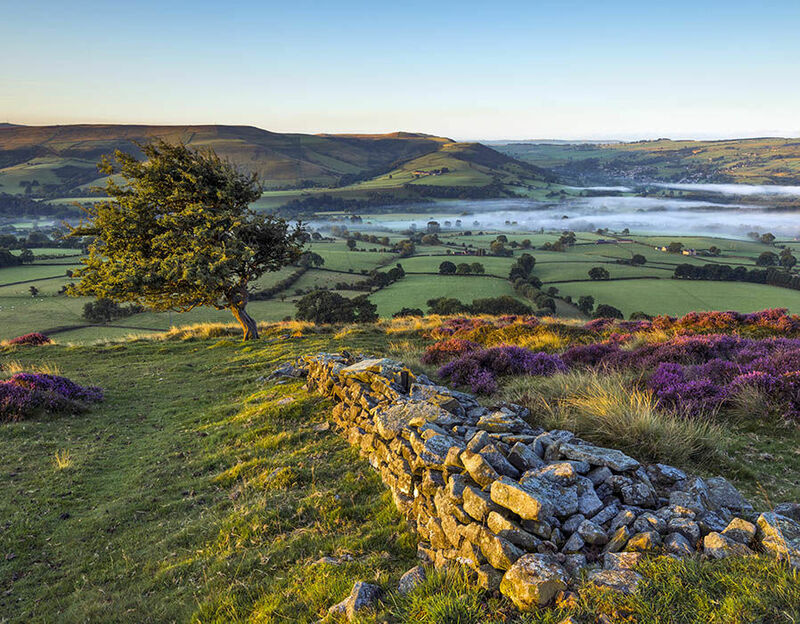 Discover some of the best walks across the UK. Prices from £53.50 return (based on a day return ticket travelling by car on 7th May 2019) or from £20 return as a foot passenger (based on a day return ticket on 7th May 2019). Find out more at www.wightlink.co.uk.